Meet the newest member of the Novotel family! Stylish and welcoming, you'll be amazed by the rooms and other features. The Novotel Paris Coeur d'Orly Airport hotel is a 5-minute walk from the south terminal via covered walkway. See you soon! 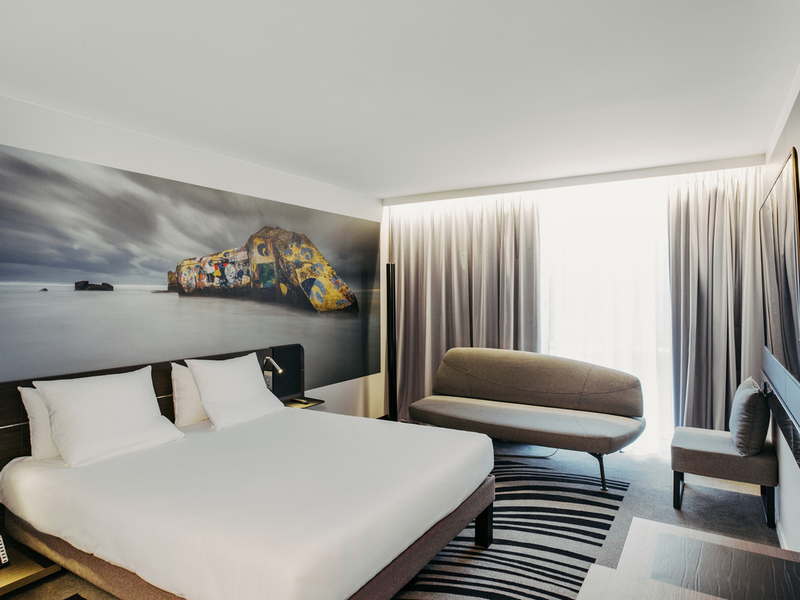 Located 5min walk from Orly Airport Terminal 4, our new hotel boasts an elegant design, state-of-the-art amenities and an ultra-motivated team! The Cuisine du Monde restaurant, gym, wooden terrace and seminar rooms make Novotel Paris Coeur d'Orly Airport a suitable place for your business or family stays. Take advantage of our beautiful N'Rooms by Novotel: modern, functional, business, romantic or family. Eat how you want, when you want. Enjoy simple, delicious brasserie-style food or dishes inspired by flavors from around the world. Our young and attentive team offers great moments to share in the restaurant, bar, your room or on the terrace.